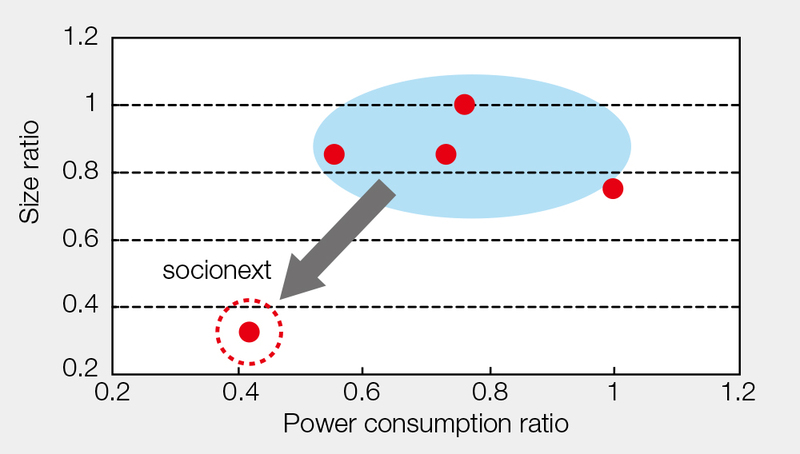 Lower Power Consumption and Smaller | Socionext Inc.
As technology advances, system LSIs are increasingly required to have more functions. In response, we have been developing smaller IP macros that consume less power. In addition to reducing power thanks to advances in technology, we provide macros that are available only from Socionext by developing new architectures.